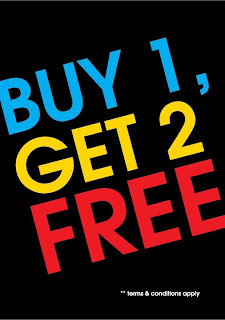 What: Buy 1, Get 2 FREE! When: Now till stocks last! Why: Because 2 is always better than 1!